I have some great information for you today about new low down payment loans. Most everyone knows that loans are hard to get in today’s market. The real estate market crash in 2008 and the mortgage meltdown that followed changed everything. That period of time when the average person could walk into a bank and easily get a low cost, low down payment loan came to a screeching halt. Finally things are slowly beginning to change. Borrowers are once again seeing the return of some low down payment loans that will allow folks to get into a home. I came across an article in the New York Times May 1, 2014 that outlines some of the changes. Take a minute and see for yourself. Loans insured by the Federal Housing Administration offer first-time home buyers the advantage of a down payment as low as 3.5 percent. But rising premiums for the required mortgage insurance have made the loans prohibitively expensive. Fortunately, borrowers have some alternatives. More lenders are offering their own low-down-payment programs, like the Right Step mortgage developed by T. D. Bank, which operates along the Eastern Seaboard. The lender recently lowered Right Step’s minimum down payment to 3 percent from 5 percent, and raised the maximum debt-to-income ratio to 41 percent, according to Malcolm Hollensteiner, T. D.’s director of retail lending. What makes the loan competitive with F.H.A. 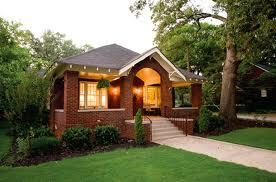 is that private mortgage insurance is not required, as it usually is on loans with less than 20 percent down. Instead, T. D. requires all applicants to go through a housing education class, which has been shown to significantly improve loan performance, Mr. Hollensteiner said. To qualify, borrowers must have a minimum FICO score of 660, and income at or below 80 percent of the area median income. The income cap is waived if the borrower is buying in a Census-defined low-to-moderate income area. Down payment assistance programs offered through state and local housing agencies are another possibility. On Long Island, for example, the Community Development Corporation has partnered with the Housing Development Fund in Stamford, Conn., to provide first-time buyers with down payment help in the form of a second mortgage. The SmartMove program enables qualified borrowers to put as little as 1 percent down, and cover up to 20 percent of their purchase price through a second mortgage. The loan is fully amortized over 20 years with a low rate of 3 percent. The second mortgage eliminates the need for private mortgage insurance, “and that’s really what makes this very affordable,” said Marianne Garvin, the chief executive of the Long Island housing agency. The borrower’s first mortgage must be through either Citibank or People’s United, currently the only participating lenders. Income restrictions apply. In Nassau and Suffolk counties, the maximum annual income for a household of four is $105,400. The borrower’s liquid assets cannot exceed $25,000, exclusive of retirement funds. And as with T. D.’s program, applicants must go through housing counseling. The program is also available in New York City, Westchester County and Connecticut. A third option is to obtain down payment assistance through a loan from a family member. Parents may not be able to afford to give away a sizable sum, but they may be able to offer it as a formal loan. National Family Mortgage in Waltham, Mass., sets up intra-family financing at low interest rates. The loans are structured to meet Internal Revenue Service requirements for what constitutes a loan, versus a taxable gift, said Timothy Burke, the founder and chief executive. The company also offers to service the loans. One difficulty with this approach is that many lenders’ underwriting guidelines do not allow for down payment loans. Rather, they require that any relative providing funds for a down payment affirm in writing that it is a gift with no repayment required. Because National Family Mortgage hasn’t yet partnered with any lenders, for now, “the burden is on borrowers to find a lender who will do it,” Mr. Burke said. He noted that some of his clients have received approval through Wells Fargo. I guess we will just have to wait and see, but I would expect that we will be seeing more options in the upcoming year. Do you have a house you need to sell quickly for cash? Contact us today.